Building materials reuse creates good green jobs. Last week, the Washington City Paper, the go-to source since 1981 for DC’s “urban explorers,” released it’s highly anticipated Best Of D.C. list, a collection of hot spots in the DMV region where those in the know congregate to eat, shop, and find services. Community Forklift won the vote for Best Home Goods Store in 2010 & 2011, and Best Hardware Store in 2012 & 2013. This year, however, City Paper readers have voted the organization “Best Green Business” in the region. Community Forklift is a nonprofit reuse center for home improvement supplies. Homeowners and tradespeople donate modern & vintage building materials, hardware, lumber, tools, architectural salvage, and other renovation leftovers. Then, at a large warehouse just outside NE DC, the materials are offered to the public at very low cost, and distributed free to charities & families in need. The nonprofit also provides workshops and public education about green living, low-cost home improvement, and local reuse options. 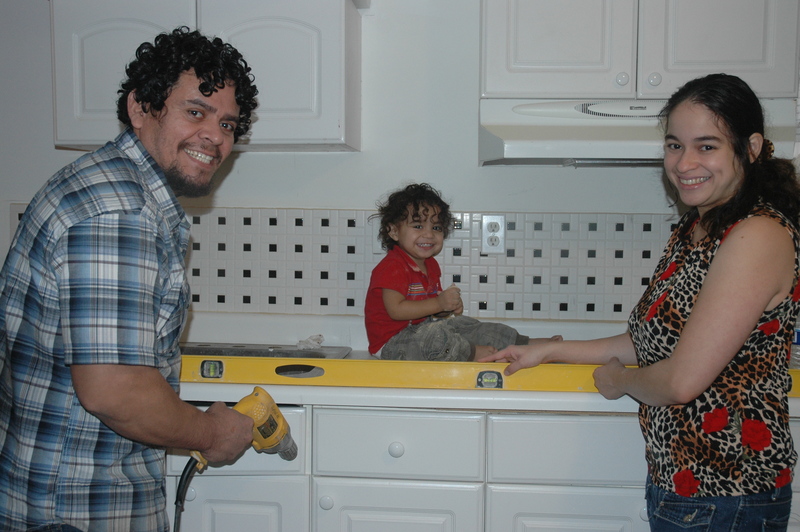 Forklift Fans show off their kitchen renovation. The name Community Forklift refers to the nonprofit’s mission: to lift up local communities by turning our region’s waste stream into a valuable resource stream. The operation has been very successful at this, creating forty-five green jobs in just eight years – and that’s just direct hires. By offering building supplies at affordable prices, Community Forklift also creates economic opportunities for local tradespeople and creative DIY entrepreneurs. 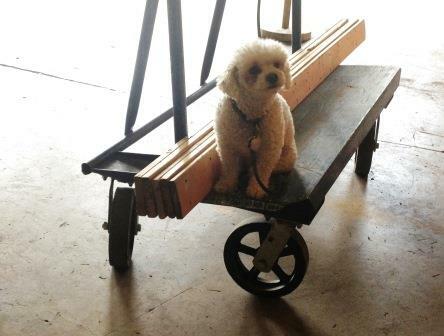 Even our four-legged friends are into reuse!